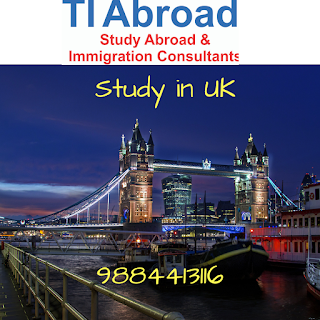 TI Abroad is a leader in Study Abroad, Immigration Services and Corporate Visa solutions. Our students have all succeeded in getting jobs after completion of their studies abroad. The students can take the IELTS & TOEFL Coaching in our very own institution, We have a tie up with most of the universities and colleges in the UK, USA, Canada, Australia, Malaysia, Singapore, New Zealand, etc. 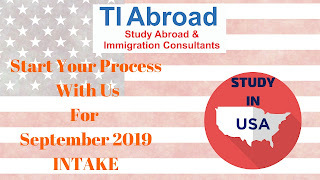 Choose TI Abroad to study in Canada and you also have the ability to bring your family with you to Canada, and you can apply for open work permits for you and your spouse. The freedom to live and work in Canada, while you study, makes Canada the ideal destination for international students. TI Abroad has a special programs for prospective students who wish to study and stay in Canada permanently. Foreign nationals who are required to obtain a visa for travel to Canada will also need a transit visa to travel through Canada without stopping or visiting. This visa is required even if the foreign national will be in Canada for less than 48 hours. There is no fee for a transit visa. The Transit Without Visa Program and the China Transit Program allow certain foreign nationals to transit through Canada on their way to and from the United States without a Canadian transit visa if they meet certain requirements. Settle Abroad / Work / Immigrate or get your Permanent Resident Visa to enhance your future & make your overseas dreams be fulfilled!! Canada –Applicants who have a score more or equal to specific score given by Canada Immigration website http://www.cic.gc.ca/english/ are given an invitation to apply for Canadian Permanent Residence. Economic – Includes applicants & accompanying family members in Federal Programs in the Express Entry System. Business immigrants, Care givers &Skilled workers & Business immigrants selected by Quebec. Family – Includes sponsored spouses, partners & children & parents & grandparents. This program grants PR to the skilled individuals who qualify on the point based system. Candidates are assessed on several factors that include Age, skills, educational qualification, work experience & adaptability factors. Applicants with a valid job offer from a Canadian employer will have an edge over the candidates without offers. Live, work & settle in Canada without any restriction. Earn double of what you are earning now & work for any company you wish to. If married, spouse &kids also can fly with you without any additional family visa. No need to pay for you or your family medical treatments, as the Canadian government sponsors it for the entire family. Just after 3 years of stay, you get to become a Canadian citizen. A work experience of min 2yrs. A score of 67 points in the Canada's points based immigration selection system. Why Choose TI Abroad !!! Expertise in Visa processing of diverse criteria. Honest & best transparent visa advice at affordable post landing services based on the qualifying criteria & on one's requirement. All the services offered under one roof, air ticketing, accommodation guidance is provided for the candidates. TI Abroad Visas to Canada is an exceptional option for people who want to come to Canada to work, study, toil or for a holiday. If your determination is only to stay in Canada for a restricted amount of time, then visa is a exceptional option for you. If you willing to stay constantly, you may be an eye-opener in learning that many definite tailored Canadian Immigration programs exist for applicants with Canadian experience. When you choose a course in Canada you not only have the aptness to accompany your family with you, but you are also skilled to apply for unfenced career authorization for you and your spouse. The freedom to experience and employ in Canada, while you study, makes Canada the flawless objectives for international students. With the guidance of TI Abroad,a candidate who wants to settle in Canad,we have programs for prospective students who wish to study and stay in Canada permanently. We also guide you to tactically submit your application to ensure your alteration from international student is smooth and seamless. As a full service, with TI Abroad to Canada is at your disposal to help you achieve your goals of studying internationally in Canada. We know the importance of family to you and that is why Canada is all ready to help. The Visa for Parents and Grandparents is a one of the biggest option to have your relatives adjoin you in Canada and is plausible for a decade. Well-founded on which country you are from, you need to appeal for, and be permitted a visitor's visa to Canada. If you have travel history, criminal/security issues or have previously been refused a visitor's visa to Canada, find out how TI Abroad can help you to visit Canada and can help you safely and lawfully enter the country with a valid visa. Toiling in Canada is an extensive way to gain Canadian experience, which can help open a lot of doors for you to stay here constantly. Countless non-metropolitan nominee divisions entail experience in Canada. If you are not competent to appeal under prototypical categories like the Federal Skilled Worker ponder the certainty that TI Abroad can help you with toiling in Canada and it could be your ticket to Canadian Permanent Residence. Almost every single Canadian work permit entails a Canadian job offer. Grasp more about the various genres of Canadian Work Permits that are convenient and check out placements that can help you hitch with Canadian patron looking to hire. In the absence of acquiring and being excessively discrete, Business Class Immigration is disjoined into three predominant categories: Federal, Quebec and a couple of other departments have their own Provincial Nomination Programs that bestow exclusively with Business Class Contestants. All the programs mentioned are the same. Some schedules entail a notable venture in Canada in that durationthe others can be asked to start a business. In Canada bank job are like search engine for unlocked placements across Canada. It assists contestants with Canadian proprietor and appointments based on their expertise, capacity and wisdom. Contestants require registration with bank jobs if they don't have a Canadian job offer or a state/area recommendation. The beneficiary well then be entailed to go through their routine discussion or evaluation procedure. If the proprietor finds that the contestants meet their needs, and they are capable to charter a overseas national, they can suggest them a job. Employers with a positive LMIA will then provide this information to TI Abroad to help you get to Canada. This is so where they can more quickly be offered an Invitation to Apply (ITA) for permanent residence in the next eligible draw. The Federal Skilled Worker has innumerable intruders and their clans can get to Canada with the Express Entry points system based on their advanced accommodation. Innumerable contestants endowed it difficult to appeal because their vocation did not plunge beneath one of the prioritized requisitions. * Education: Contestants can inherit a paramount of 25 juncture for their andragogy, being sustainedon their academic eligibility. * Age: A paramount of 12 junctures are allocated under this category. Contestants 36 or older begin to lose junctures under this influence. * Work Experience: Contestants can inherit a paramount of 15 junctures under this influence.Contestants with 6 years or more of full‐time experience for the last 10 years, will receive the full 15 junctures. A business visitor is a distant federal who comes to Canada to engage themselves in global business activities, but who will not invade the Canadian travail plaza. Canada is one of the world's enormous economies, attracting thousands of short-term business visitors each year. Canada endeavours to ensure that international business visitors can come to Canada on business trips. Subject to the nature of the work, as well as the individual's nationality, certain business visitors can enter the country to conduct business or trade activity without needing a work permit. scheduled to leave Canada at the end of your vacation. Quebec entitled professions is a non-metropolitan recommendation immigration program which allows entitled profession beyond the globe to toil and exist in Quebec during their stay at the beginning and presents importantly to the area financially to grow along with the development of the labor market. 1. Contestant's degree should fall under the Quebec list and the degree should be overseas recognized to Quebec diploma. 2. The order for the degree must have been given right before the past 5 years appealing or the contestant should have at least 1 year of experience in the departmentwhich is somewhererelevant to the area of instruction. Work experience either full time or part time or internship full-time or part-time work as part of an apprenticeship, training or specialization recognized by a diploma, both remunerated and non-remunerated in the field related to diploma or area of training within the past 5 years preceding the application is considered. To claim points for threshold level for learning is level 7. Stay with Canadian citizen and Quebec residents. Offer of Employment from Quebec Employer. Adaptability which depends about applicant's preparation to migrate. Both the spouses must not score less than 57 points. D) Summary of Points per factor Express Entry Candidates.